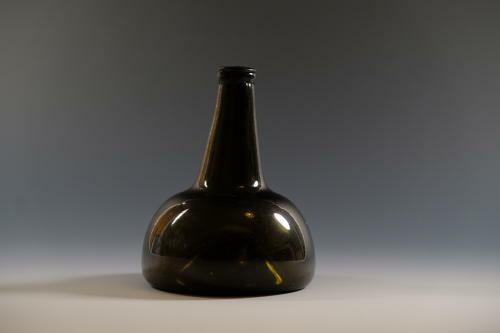 Early onion wine bottle with short neck, top string ring and typical cone shaped kick and pontil scar. Dutch C1730/40. Note: A nice example in good condition.